Purchased red one first; the yellow was not available. After got the red one I was so impressed I called and ordered another different flower in yellow. Love them both and will be hung on a hanger in my front yard. I really need color and these will be beautiful! I love this basket of hanging flowers! They are a really good quality and they're really pretty. I'll be purchasing a few more for our back porch area. I hang this outside! It has been rained on already and it did not wilt.. Color is vibrant and realistic. 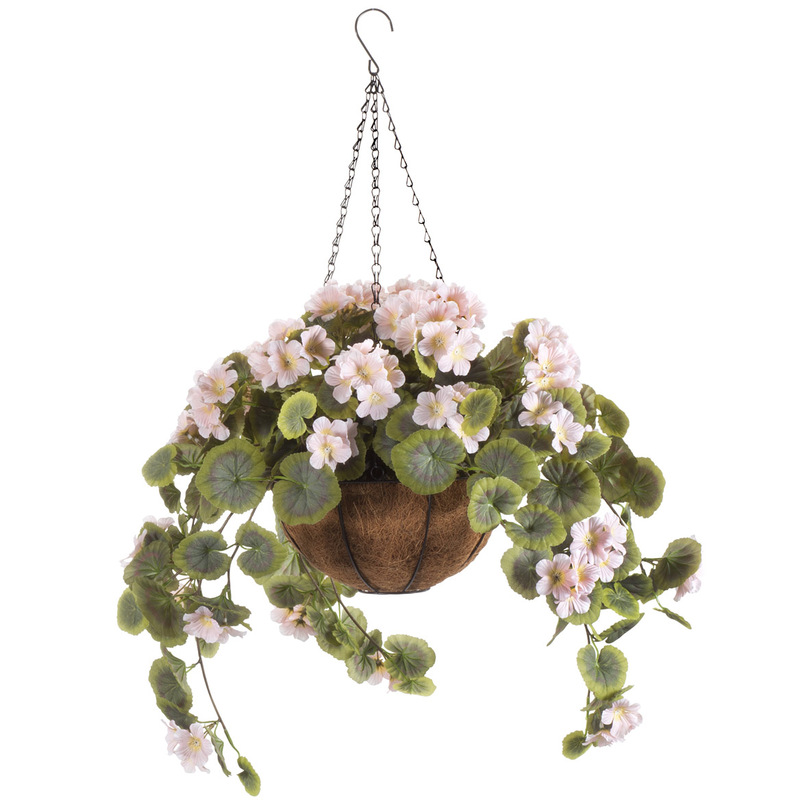 I also wrote a very praising review on the matching geranium bushes and hanging stems that go with this. I can't say enough about the quality and beauty of these geranium items. They are all so beyond what I expected. The ad in the catalog doesn't do them justice, they are MUCH nicer in person. I have a 5-ft. window box in front of my house, a west-facing very shady side, under three huge maple trees. After trying for 15 years, NOTHING will grow on this side. 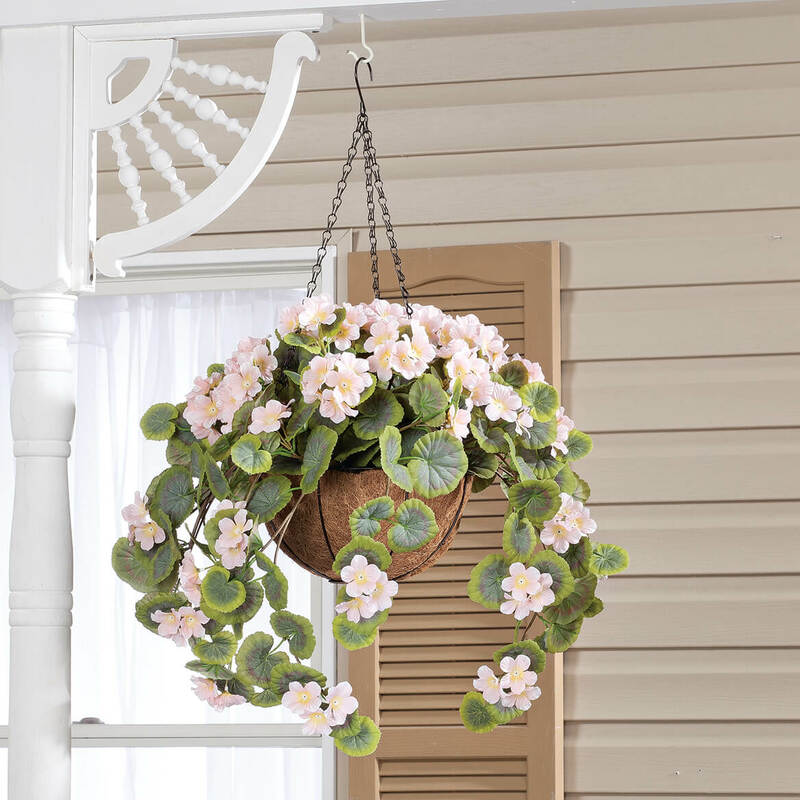 I finally have this beautiful quaint-looking hanging basket to match the same geranium bushes and hanging stems in window boxes in front of my house. Absolutely stunning. THANK YOU WALTER DRAKE COMPANY for this big favor!!! 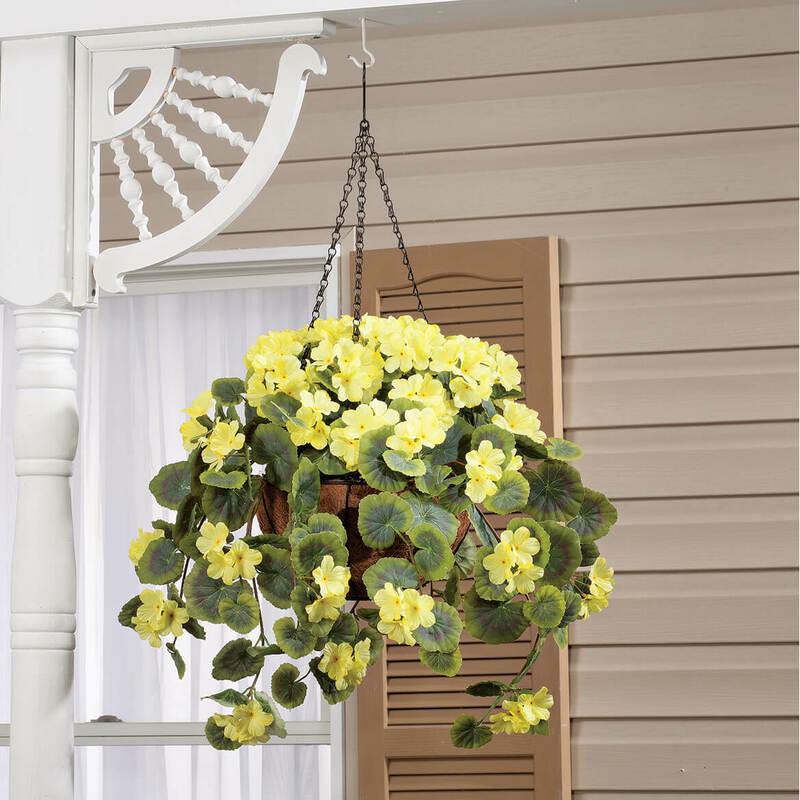 After several weeks of searching for a hanging basket that would brighten my back porch, I found this one on the Walter Drake website. I am so glad that I did! Product review was good. Price was reasonable. ordered two before and they are gorgeous! Very satisfied with produce. Just what I was looking for; I shopped around and these are the finest and most affordable and certainly pretty! Been looking for them for years. Size, and I'll let you know how they work when I get them. Can not grow geraniums because of no sun, they look beautiful and I will not have to water them. Wanted instant color and charm for my yard but didn't want the battle of keeping a real plant watered in the hot summer. To match the red geraniums I also bought. 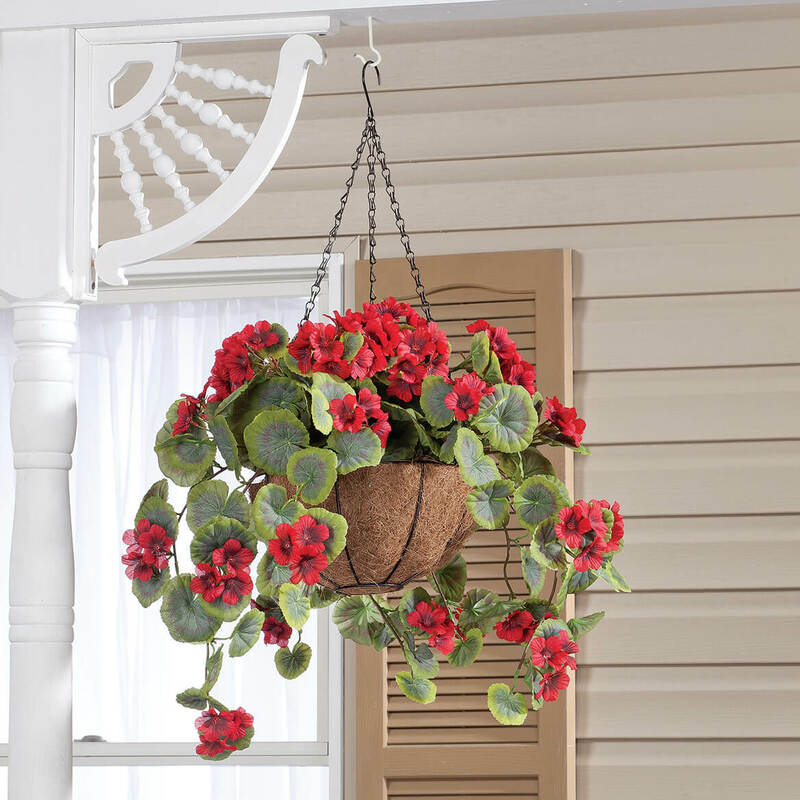 Red geraniums in the front window box, red geranium hanging basket at front door. PERFECT!!! Thank you, Walter Drake, for being there for simple solutions for us. God bless you all. what color is this white and pink one? BEST ANSWER: Thank you for your question. It white and pink is the pink selection.We hope this information will be of help to you. 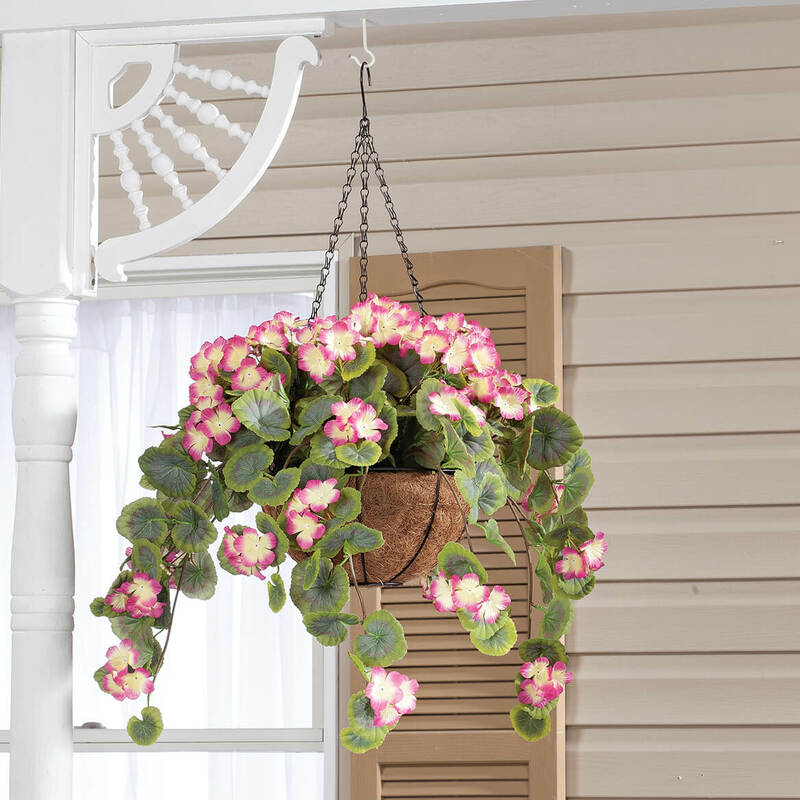 Do these fully assembled hanging baskets any UV protection for outdoor use? BEST ANSWER: Thank you for your question. Unfortunately these do not offer UV protection. We hope this information will be of help to you.